Local Fun & Flavor: 11th Annual Birmingham Chinese Festival 2017 - the Year of the Rooster, Saturday at Boutwell Auditorium. 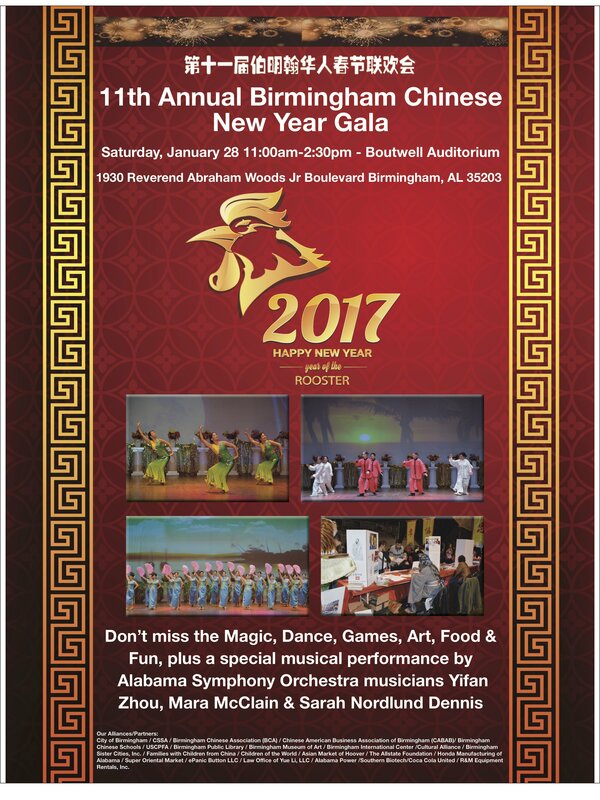 The Birmingham Chinese Festival Association presents a celebration of 2017 - the Year of the Rooster, Saturday, January 28. 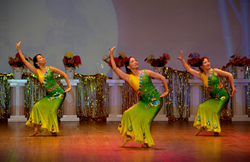 Chinese food, music, dance, magic, & games offer a unique, Birmingham experience. This year will be the largest Chinese New Year Festival in Alabama history, says Qiulin Yu, BCFA President. This Saturday, January 28, the BCFA presents more than 20 local performances including Chinese music, dance & magic, plus a very special performance by Alabama Symphony Orchestra musicians Yifan Zhou, Mara McClain & Sarah Nordlund Dennis. Local chefs and restaurants provide a taste of their specialties, such as dim sum, and exhibitors offer a look at Chinese games, crafts & more. Festivities begin at 11:00 am and end at 2:30 pm. Location: Boutwell Auditorium, 1930 Reverend Abraham Woods Jr Boulevard, Birmingham, AL 35203.